In El Paso Biege with a red interior. A great 1100 with only 15,000 miles recorded. Sadly there is not enough history to confirm the mileage, but the immaculate original interior and general condition indicates that the car has had very little use. 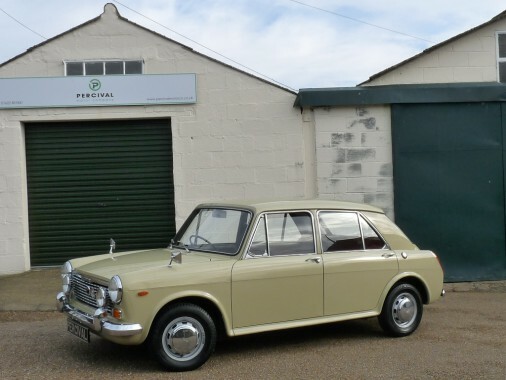 The last owner of fifteen years has lavished much care on the Austin including converting the engine for unleaded petrol and fitting a New Old Stock rear subframe.